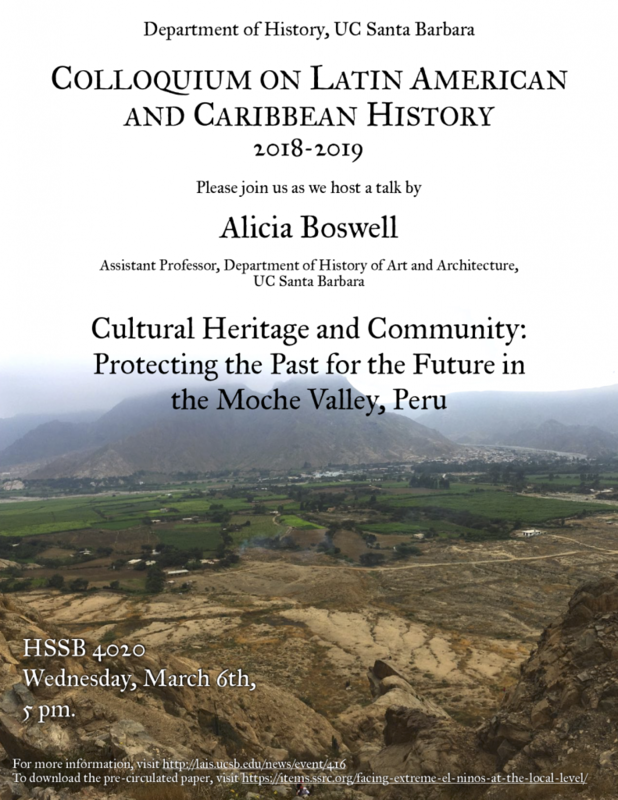 Please join us for the next meeting of the Colloquium on Latin American and Caribbean History as we welcome Alicia Boswell, who will deliver a talk entitled “Cultural Heritage and Community: Protecting the Past for the Future in the Moche Valley, Peru”. 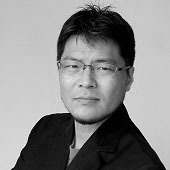 The talk will be held in HSSB 4020 at 5 pm on Wednesday, March 6th, and will be followed by a small reception. Abstract: Media reports on cultural heritage issues focus primarily on the destruction of ancient monuments and the illicit looting and sale of antiquities, especially at the hands of groups such as ISIS. In doing so, they largely ignore the likelihood that antiquities extraction and site destruction is more related to issues of global economic development. This talk addresses the global and national socioeconomic pressures connected to heritage destruction in Peru and highlights a model implemented to combat archaeological site destruction in the Moche Valley, Peru by Moche Inc, a nonprofit organization that Boswell collaborates with. This model, which engages local communities in heritage preservation and development projects demonstrates that the benefits of conserving archaeological sites can extend beyond site preservation and tourism opportunities. Community collaboration and protection of archaeological sites can contribute to economic opportunities and long-term community development. About the Speaker: Alicia Boswell is Assistant Professor in the Department of History of Art and Architecture at UCSB.